No matter how you plan to stay cool, you want an efficient machine that’s going to be reliable for years to come. Well, that’s where a wall AC unit comes into play. Better than fans and longer-lasting than portable units, wall AC’s are the ultimate beast to cool your small room or large space, and they come in a variety of different strengths. Here are Gear Hungry’s top seven wall AC units to chill out without cashing out. From the brand you’ve (probably) never heard of comes a cost-effective, small wall-mount AC. It’s Energy Star rating puts it up a notch, and being under 65 pounds makes for easier carrying and install. If you’re man enough, you can put this in yourself, but don’t mess up your back. Take advantage of the smaller, more narrow size by putting it in tight spaces, whether it’s between window frames and corners or beneath the sill and above the baseboards. With less weight and a smaller build, you can let your creativity run wild with where to put it. Above the stove, cooling down the mancave made out of a shed outside—the choice is yours, and the power is fantastic. Set it to auto, and let it learn how you operate, or put on a 24-hour timer and have the room icy cold for your triumphant return from work the next day. How you use Friedrich Chill Series is anybody’s guess, but when you use it, it’s a whole different ballgame. This unit chills the room fairy quickly, despite only being 8,000 BTUs of power. Save money and cool down the room with a space-saving, energy efficient model. First rule of thumb: These units may say they only cover a certain area, like Koldfront WTC 8,000 BTUs model, which says it covers up to 350 square feet, but 8,000 BTUs can cover a lot of ground. You just have to be smart not to leave too many heat-drawing elements in your room, like chargers and other constantly plugged-in devices. Koldfront offers a median price while giving you three fan speeds, four operation modes, and an eight-button remote control that allows you to control numerous features. One nifty bit about this unit, which helped it earn our top spot, is the additional feature of a heater. It provides up to 3,500 BTUs of heat, which isn’t going to do much in any normal-sized room, but it’s great to supplement heat (especially if you’re using a rather small space heater and can’t afford a larger unit). 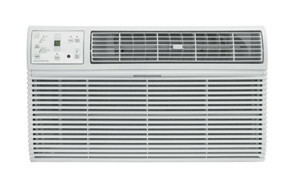 This air conditioner is great for living rooms and medium-sized bedrooms. Use the timer feature to set it up to chill the room while you’re driving home from work. Apart from that, this model is also compatible with other sleeves. If you’ve ever owned a Koldfront air conditioner in the past, you might be able to recycle that old sleeve for this unit, if need be. Overall, it’s an excellent value with tons of reliable features, and is lightweight/small enough to install on your own without requiring additional help. Much like it’s younger brother that snagged the first spot, this ultra-powerful Koldfront WTC12001 12,000 BTUs air conditioner is perfect to cool large spaces, and quickly take the blistering heat out of small rooms. Seriously: Power this bad boy on in a 9 X 9 room, and you’ll be frozen in place before you can reach the dial (which is okay, because it comes with a digital remote). The manufacturer says you can cool up to 450 square feet, but in reality, you could use this in a large area like a conjoined living room/dining room, and the whole family would be putting on mittens to hold their cups of hot coffee in no time. This comes with three fan speeds, four different operation modes, and comes with a fantastic energy rating. You get buttons galore and an eight-button remote—just enough that you can master it in an afternoon, not too many that you’re scratching your head just to turn the fan on. The wonderful thing about these units is that just because it can work up to 12,000 BTUs doesn’t mean you have to push it that far. Putting this down three degrees from the room temperature will ensure that you get to a comfortable level in a short amount of time. From the original inventors of the refrigerator comes a fantastic addition to your home. Frigidaire 115V 12,000 BTUs is a permanent solution to all of your cooling needs, since 12,000 BTUs and the enhanced manufacturer warranty are going to outlast the rest of the competition. One defining feature of in-wall units is the quiet operation. Sometimes, with large-scale BTU production in window units, you can hear the AC a little too much. That makes it difficult when you’re trying to get some shut-eye, but with this unit, despite it’s 12K BTU power, you’ll be able to sleep easy due to its low hum. You get four-way control of your comfort, and this only requires 115V of an electrical outlet. Electronic controls make it easy to use. 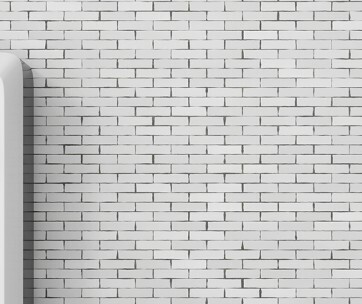 If you’re just getting into the in-wall AC unit landscape, you can find a few tutorials we’ve listed in the buying guide to install these properly. It’s a bit of a DIY task (though most sellers on Amazon do offer expert installation for an additional cost on the price tag if you’re interested). Frigidaire comes in first for reliability, but generally ends up costing a little bit more. This unit is heavy, coming in over seventy pounds, so you’ll want to have a bit of help when you’re installing it, especially if you’re on the second floor (don’t want that new purchase falling two stories down). 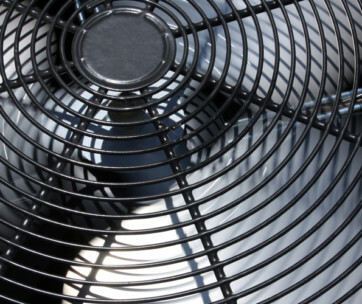 Most users report their wall AC units lasting up to two decades. Back that up with the best brand in the business, and it’ll be there when your newborns are graduating college. LG produces some of the best appliances and general-use electronics in the world, and they don’t stop at televisions and routers. This LG LT 9,800 BTUs comes with nearly 10K BTUs, so you can turn your studio apartment into an igloo in just a couple of hours. This unit is small enough that you can install it in the space between your windowsill and your baseboards. Not everyone wants their unit sitting high above the television or being difficult to access, and this unit does the trick. Though small and compact, this unit weight a staggering eighty pounds, and will require a helping hand to get installed. You get three different cooling options, three fan speeds, and a six-button remote control, so you can leave it by the door and flick it on before you even kick your shoes off after work. Then again, you could use the built-in timer features to cool the room down before you even walk in the door without wasting a ton of electricity. Dehumidified water leaks out of the back without aid, so you don’t have to worry about changing a drip pan. One downside is that you do need to order the sleeve separately, so don’t purchase this expecting it to come with everything you need. The last thing you want to do is carve a hole in the wall, open it up to the outside world, and then have to push the two-day delivery option on a sleeve. 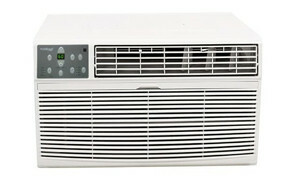 It cools down your room quickly without breaking the bank, all with an excellent Energy Star rating. 10K BTUs are more than enough to get the task done. Returning from a dash around the block in the blistering heat? Set the timer to chill the room for you without icing your wallet. You get a formidable amount of power behind a median price, all wrapped in a galvanized cabinet with a self-draining part. Garrison R-410A even comes with a touch of smart technology embedded, called the Follow Me feature that understands the temperature of the room, and takes control of your choices to keep it adjusted to your specific comfort level. Five modes give you optimal control when you want it, including a sleep function (and you can set the timer up to 24 hours). This 220V, seventy-pound unit has a thermostat included, but it doesn’t appear to come with the sleeve. It’s a quiet unit that will allow you to sleep without worry, though it will require a two-man team to move it into place properly. If you’re looking for a model that you can install in a low space, this is your guy—self-evaporative technology means you’re not going to kill the grass directly beneath the unit outside, either. Who even knew Keystone was still pushing out products? This wall unit AC comes with everything you could want: 12K BTUs for a deep chill, three cooling speeds, three fan options, and the coolest feature of all—a temperature-sensing LCD remote control. Yes—your remote control sends information to your AC and uses that to cool down your room. This unit weighs nearly 80 pounds, so you’ll want an extra pair of hands when you’re installing it. The good thing is it’s a compact model, so you’ll be able to install it under windowsills and in other optimal points of the home—it doesn’t just have to be high-up on the wall. You’ll have to purchase your wall sleeve separately. The great thing about the Follow Me feature is that you can leave the remote in the middle of the coffee table for when you have large groups of guests over—have your AC automatically contour the BTU output to how many guests you have based on how quickly the temperature rises in the room. Keep in mind that if you bring it with you when you cook and place it on the counter, it could get false readings. Q: How Do I Install A Wall AC Unit? A: We’re not carpenters, but some serious YouTubers have been able to come up with fantastic tutorials to give you some general information on wall AC units, and show you hot to install them. Take a look below to educate yourself on wall AC units. This is your educational resource if you’re new to the world of in-wall units. In just two minutes flat, you’ll be able to dice headfirst into the world of in-wall units like a pro. If you already have the sleeve in place but you’re not quite sure on how to put a unit back in (maybe it’s been a while or you bought the place with a pre-existing in-wall unit for the first time), this is the tutorial for you. Quick, easy to follow, and gives you the right information. This one is a quick, general guide, even though they focus on a model that’s not included on our list. The fundamentals are the same. 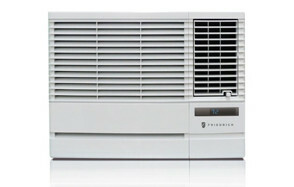 Q: What’s The Difference Between Portable And Wall Air Conditioner Units? A: For the most part, this comes down to your lifestyle. 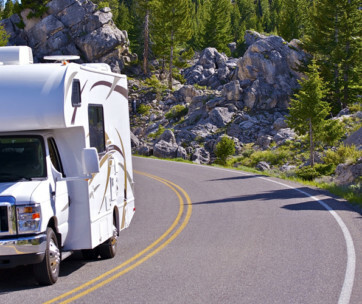 If you position your portable units properly, they can be more effective than wall-mounted. However, they don’t operate at 100% of their BTU capacity since they generate their own heat output. In short, wall AC units, while not as desirable, are more efficient at cooling your room, even if they can’t be strategically placed. Wall units are better for insulation, as well. That’s an affixed model that you can insulate and weatherize pretty well, but the aggravating slats on portable units can be tricky (and downright annoying) to try and get just right so you’re not letting the cold air out, and spiking up your energy bills. In short, wall units are more efficient, generally less expensive, and come with similar digital features. You can’t slide them around the room or move the, but they’re more reliable in the long run, and sometimes even come with longer warranties depending on the manufacturer. Q: Are Wall AC Units More Powerful Than Portable Ones? A: In most cases, it all comes down to BTUs, but there are a few defining factors apart from them. Let’s cover them all. BTUs - These stand for British thermal units, and since the United States uses them instead of their imperial system, it must be pretty accurate, right? You’ll see BTUs in units of 1,000 and sometimes 500, and for the most part, they measure the worth of an AC. This is its power in a nutshell, but the difference between portable and wall-mounted are much more different than that. Heat Generation - There’s no way to get around this: Wall or portable, these units are going to throw-off a formidable amount of heat. They’re machines running off of electricity—of course they’re going to create heat, but it’s a matter of how these different units deal with them. Portable units, much like standalone tower units you’ll see in the center of a room, don’t really have anywhere to disperse that heat. They rely on the fact that the chilled air it produces battles—and beats—the heat that’s also being omitted. Wall AC units let all that heat get outside, so you get 100% of the full power that your unit can produce. Room Placement - This is where things can get tricky. You don’t have to be a student of aerodynamics to understand that a breeze only goes one way, the way it’s blowing. That being said, portable units that sit in the center of the room technically chill the room at a more even pace. Wall AC units can’t get to that awkward corner of the room as well. Look around—you have things like a laptop, phone charger, and lights in various areas that all throw off heat. With wall AC units, you might only be cooling half or so of the room, whereas portable units chill the room evenly.